Whether you are just starting to learn about ads and ad testing, or if you’re looking for a bit of a refresher to sharpen your ad content, Advanced Google AdWords, by Brad Geddes is a ultimate resource to learn from. But what’s better than Advanced Google AdWords? Brad Geddes himself! 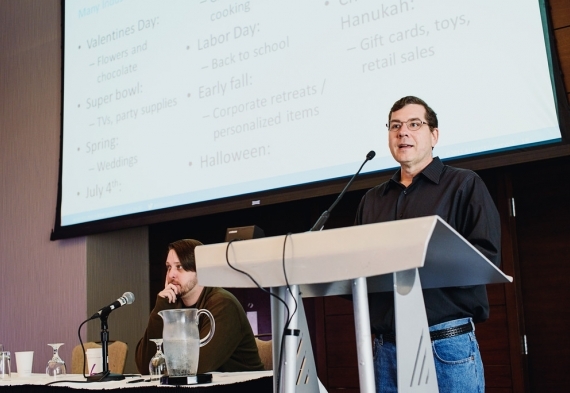 PPC professionals flocked to learn from him at Reddit’s Ask Me Anything, but here’s a bit more info regarding ad testing that you may not have seen yet. As one of the speakers at the Acquisio Summit, and a partner of Acquisio with his new ad testing software, AdAlysis, Brad Geddes has been sharing valuable content and advice with Acquisio users for some time. 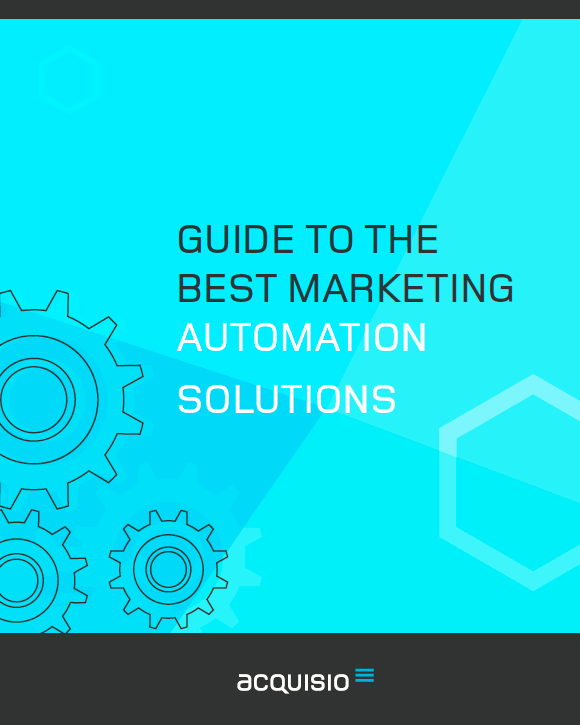 In an effort to provide even more valuable insight with our readers, we joined forces with Brad and several other industry leaders to put together a Guide to the Best Marketing Automation Solutions. With so much to say about Ad Testing, the chapter on automated ad testing had to be slightly abridged to fit in the ebook. But here, in all it’s glory, is the original Automation ebook chapter, written by Brad Geddes, which shows how to run ad tests effectively and why it matters. Have you ever noticed the search engine advertising systems are called AdWords or Bing Ads? Did you realize it’s called an Ad Group for a reason? These entities could have been called keyword groups or placement groups; but there’s a specific reason that they are named after the ads in your account and not any other targeting aspect. Ads are the only part of your account that a searcher actually sees. 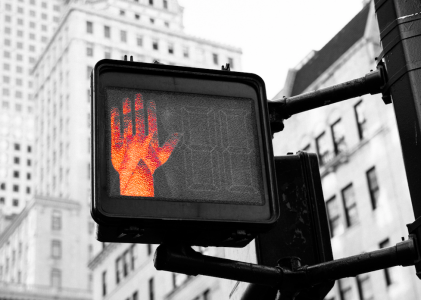 A searcher does not know your keyword, bids, geographic targeting, or any other of your account settings. The searcher only knows your ads. Every setting in PPC accounts just tell a search engine when, where, and how to display your ads. Your bids and bid modifiers tell them how much you’re willing to pay for an ad click. Everything is about the ads. 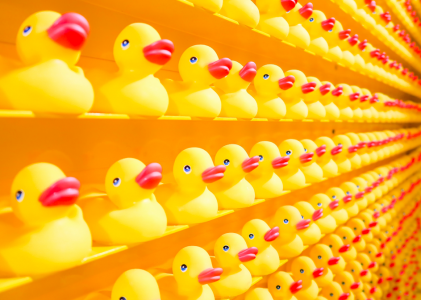 There is only one common item that’s used every time you create an ad group – the ads. You can use keywords, URLs, placements, behavioral, topic, and other targeting methods to make your ads show; but in the end – it’s all about the ad. The ad is the message that you want to put in front of consumers to make the correct potential customers want to take a closer look at your offer and come to your website. If your ads are poorly written, then you either won’t get traffic, or you’ll get the wrong type of traffic that won’t convert on your site. Lastly, if you’re not testing and your competition is, you can get worse by doing nothing. A good PPC account is constantly devising ad tests and picking the correct messages to use for their advertising. Single ad group testing involves adding two or more ads to an ad group and then seeing which one helps you hit your goals the most. For instance, in this test result, the bottom ad has a higher CTR, conversion rate, CPI, and a lower CPA. Therefore, by running a test and then pausing the losing ad, this ad group will see an increase of 51 conversions over the next month. With single ad group testing, you will find the best ad for the targeting methods in that ad group (i.e. keyword, placements, etc) but that information may not apply to other ad groups. This testing method is best for your top ad groups or once you have done some multi-ad group testing and want to refine the results. 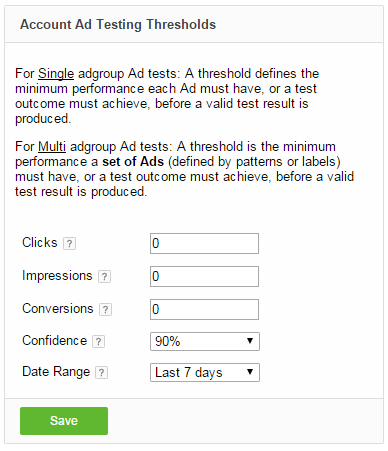 Multi ad group testing allows you to gain insights across multiple ad groups at a single time. With this testing technique, you’ll use two or more common lines or themes across multiple ad groups and then examine the aggregate data for each line. For instance, it is common in the lead generation space to see that the use of geographies in headlines leads to higher conversions rates. So you can write one headline with a geography in it and the other without the geography in it across many ad groups. Then you can compare how the ads that used the geography did compared to the ads without the geography in it. If your goal was the most revenue possible, then you could pause idea 4 and you would attain an additional $22,081 in revenue. The benefits of multi-ad group testing is that you will receive data that is useful not just for an ad group; but across many ad groups at a single time. These types of insights can help you determine how to write ads. Please note: multi ad group testing is very good for small accounts that don’t have enough data by ad group to ever reach statistical significance and it is excellent for large account that are creating ads via templates. Ad tests are not confined to text ads. You can test text ads, DSAs, image ads, and many other ad formats. With ads that are based upon text, which are mostly DSAs or text ads, you can work with text based systems for your testing which is easy to manipulate and find and replace changes. The size of the ad is just that, the ads formatted and displayed size. Often when making image ads, designers work with themes, such as some ads have prices, a button CTA, light theme, dark theme, and so forth. In these cases, you might not worry about the size, but the theme to find out which theme is the overall best for you before you start thinking about the individual sizes. With an ad tests, you must always consider the targeting method as that’s what causes that ads to be displayed when you decide what type of ad test to run. For instance, if you are using placement targeting, then you know the ad slots where your ads are showing, so you can test just a theme by a specific size. If you are testing remarketing, then you don’t know what sizes are always going to be shown on the various publisher sites, so you are going to use theme testing. With theme based testing, a good way to do it is to label your ads by image ad theme and then test by labels. You can use single ad group or multi-ad group testing techniques on image ads. Usually size by size is best within a single ad group and theme versus them is best for muti ad group testing, but there are exceptions. Numerical averages hide everything useful and interesting, and that’s true of ad testing. You never want to just look at global data and make testing decisions. You always need to examine the segmented data, or better yet, create segments before you test, in order to ensure that your testing data is valid for how your ad is being displayed. For instance, if you have an ad group that is being shown on both desktop and mobile devices and you are only using two all device ads, then you can pick the overall best ad, but you can’t pick the best ad for each device to continue running if one ad is best on a mobile device and another is best on a desktop device. In this instance, you should be using two mobile preferred ads and two all device ads so that you are controlling ad serving by device and picking the best winner for each device type. This segmenting of the ad tests will depend on what you advertise and how your account is structured. However, a very strong brand might find that they should put their brand in their brand terms, informational terms, but not in 3rd party brand terms or generic words. In these cases, if you didn’t test by each segment, you would miss that very important insight. Therefore, before you set up a test, you always want to consider the data segments that you need to examine for both single and multi-ad group tests. Before you create your ad tests, always determine how you want to segment your tests and the data so that you can create the appropriate ad tests. Before you create a test, you want to determine what your success criteria will be. What metrics will you use to pick your winning and losing ads? If you are unsure what testing metric to use, consider using the impression based metrics. The advantage of conversion per impression is that will tell you what ad can bring in the absolute most conversions and revenue per impression is the absolute highest revenue that an ad can produce. The problem with some metrics like conversion rate is that they ignore volume. For instance, conversion rate only examine the data once someone clicks on your ad, so it ignores how many people could have clicked on your ad – the potential volume. Conversion per impression is a hybrid metric that accommodates both click through rate and conversion rate, so it’s usually the best metric for lead generation companies to use. For ecommerce companies, it’s often not just about the conversion but the actual revenue. So by using revenue per impression as a testing metric, you are taking into account click through rate, conversion rate, and sales data. When testing ads, you always want to determine the minimum data before you run a test. The minimum data is how much information you need for each ad or set of ads for multi ad group testing, before you start examining the confidence factors that one ad is better than another one. When deciding upon your minimum data, you must consider how you will judge success before determining what minimum thresholds you must meet. For instance, if you are testing by CTR, then conversions don’t matter since they aren’t used in determining CTR. Here’s a handy chart to use for determining what minimums you must define. When creating your ad tests, it’s usually best to start with determining what metrics you’re going to use to decide which ads are winners and losers. By first starting with how you will measure results, you can focus on ad tests that will lead to those types of results. Next, determine your minimum data amounts and your confidence factors for determining winners. It’s common to want 99% confidence for your branded terms, but only 90% for less searched for items. Then start with multi-ad group tests to find global insights across your various account segments. Determine how you want to segment the data, the global insights you need to learn, and then create your multi-ad group tests for those segments. Once you have run your first multi ad group test, then pause your losers and determine your next step. If there are more global insights you wish to learn or if you are making ads by templates, then continue with more rounds of multi ad group tests. If you have finished running your multi ad group tests, then move to single ad group tests for your top ad groups. You might have some ad groups that don’t achieve enough data to ever run single ad group tests, so those you should make note of as they might only be tested via multi ad group testing techniques. Then continue repeating as necessary. Even if you’ve done several rounds of multi ad group testing, it is a good idea to return to this testing technique every few months just to make sure that your global insights still apply and try to come up with new ideas that can help out your entire account. By testing ads, picking winners, removing losers, and then continuing to test, you should be able to continuously improve your account so that you can beat the competition and increase your overall marketing profitability. To read Brad Geddes’ chapter in print, and to see how his thoughts tie in with other industry leaders, download the full ebook and learn about more than just ad testing!